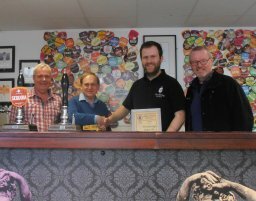 Another winning beer at the 2015 Eastbourne Beer Festival was Thornbridge Jaipur, the Beer of the Festival, Sussex Exemption. 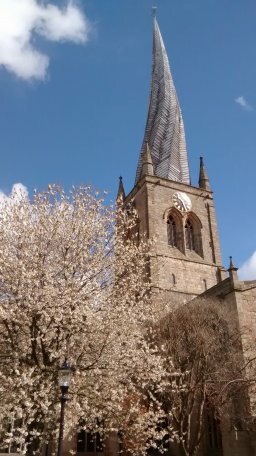 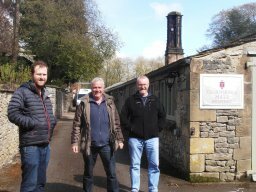 At the end of April a small group of branch members took the train to Chesterfield, where we were met by Alex of the brewery’s marketing and publicity office. 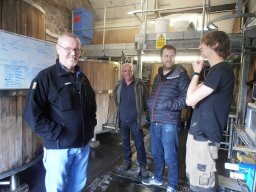 He drove us to the modern brewery in Bakewell where we made the presentation, noting that it was the third Eastbourne award for Jaipur. 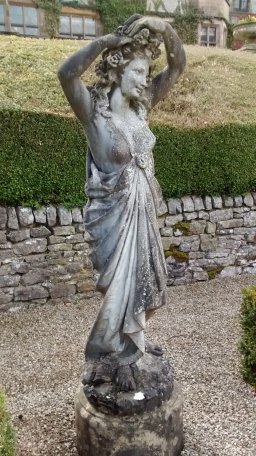 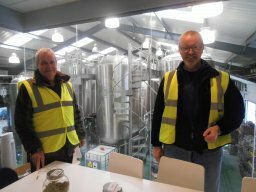 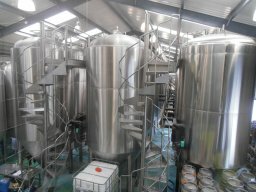 We had a quick look round a modern hi tech large brewery before we were driven up to Thornbridge Hall, with its formal and landscaped gardens. 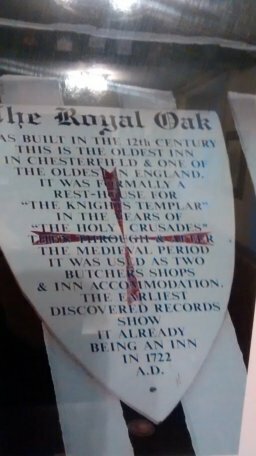 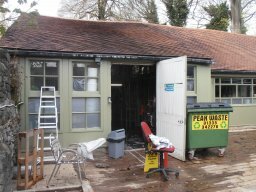 This was once the home of Lord Marples after whom the original beer brewed was named and where in an outhouse the original brewery is to be found. 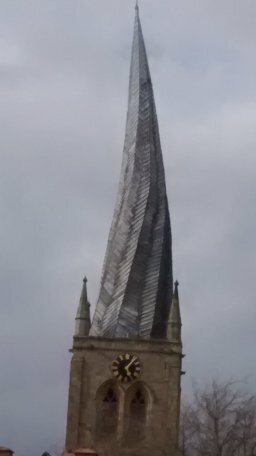 It is still in action, in size the other end of the scale from its modern successor. 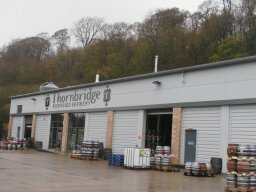 We met one of the staff brewers, Mike, who chatted to us about brewing at Thornbridge. 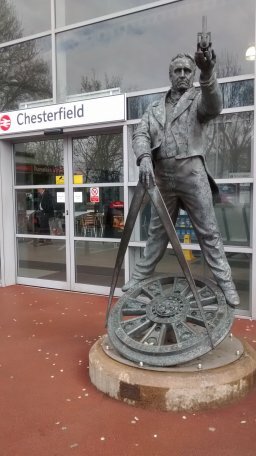 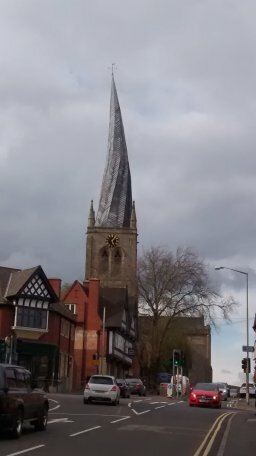 After that we were returned to Chesterfield by Alex, to whom we were most grateful for his hospitality and our transport, then checked into our hotel before starting the exploration of the town’s six Good Beer Guide pubs. 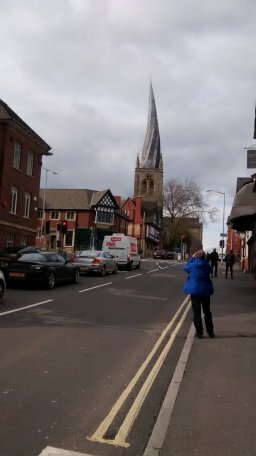 Completing this at lunchtime the following day and having added another pub destined for the 2017 Guide as well as two Wetherspoon’s, we declared ourselves very happy with the wide selection of beer on offer in the town as we climbed aboard our afternoon train home.